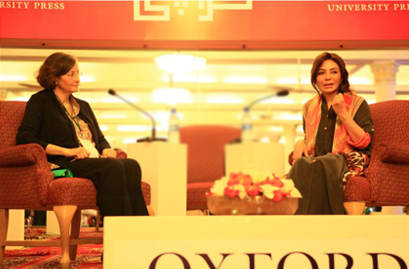 "Edhi is the best example of humanitarian Islam," she said at the launch of another book, 'Half of Two Paisas: The Extraordinary Mission of Abdul Sattar Edhi and Bilquis Edhi' on day one of the fourth Karachi Literature Festival Friday. "He is a weapon against extremists and the militants who are promoting the wrong kind of religion." Here comes a time in a life when one can push the boundaries and make the impossible happen; one giant leap, a remarkable display of courage that changes everything. She accomplished that over two decades ago and now she sat on the podium, a warrior queen triumphant, having blown the battle horn against the evils of feudalism in times when a women rarely dared to do such a thing. The Express Tribune, February 16th, 2013. 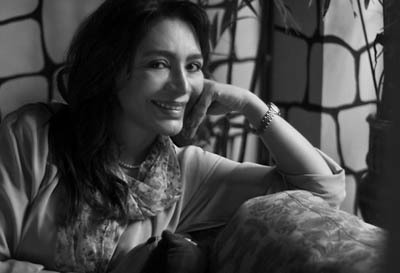 Tehmina Durrani's controversial autobi¬ography still remains relevant in Pakistan today.